On Thursday afternoon, the city of Santa Monica sent eviction notices to the airport’s two FBOs—American Flyers and Atlantic Aviation—giving them 30 days to comply. The letters state: “Attached please find your notice to vacate. Please note you have 30 days to vacate the premises. Please coordinate your departure and pro-rated rent amount with the airport manager…” The notice to vacate was issued “pursuant to California civil code 1946,” according to documents provided to AIN by the city. At an August 23 city council meeting, the city outlined its new FBO policy, which included a plan to serve a “notice to vacate” to both FBOs by September 15 and replace the services provided by the FBOs with city-run operations. Like almost every other aviation tenant at SMO, Atlantic has been operating without a lease since it expired on July 1, 2015. The city has already managed to get the airport’s largest flight school, Justice Aviation, to close on May 11, as part of a settlement of lawsuits between the city and the company. The city ended up paying Justice Aviation $450,000 for agreeing to cease operating on May 11, and in turn Justice agreed to withdraw its lawsuits against the city. 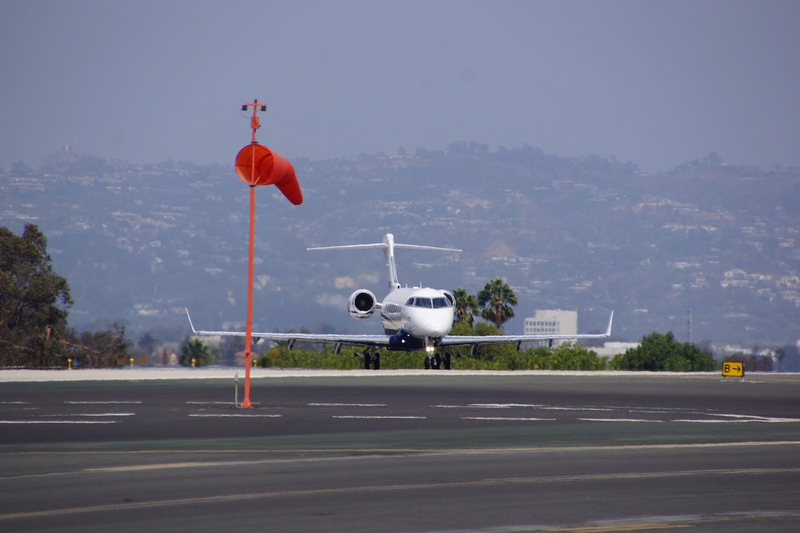 All of the aircraft leased to Justice Aviation, however, are now flying at other Santa Monica flight schools. Atlantic Aviation bought two Supermarine FBOs— the Santa Monica facility and a sister FBO at Stewart International Airport in Newburgh, N.Y.—in 2007 for $85 million. American Flyers, which operates one of its flight training academy locations at Santa Monica Airport (SMO), also sells 100LL avgas from a self-serve pump and fuel truck. The city claims that safety and environmental issues are the reasons for closing the airport, and in its lease negotiations with Atlantic Aviation, the city attempted to require the FBO to sell only biofuel-based jet fuel, which is currently not possible. The city also wants to eliminate lead-based 100LL avgas sales at the airport, and while unleaded aviation gas is now available at some airports for lower-powered piston aircraft, there is currently no substitute for the 100LL required by high-compression piston engines. Airport users are marshaling forces to combat the city’s latest move, including the Santa Monica Airport Association, which is asking members to donate funds to help pay for the effort. Airport tenants have the right to challenge the city’s eviction notices in state court, NBAA pointed out. The FAA also has the power to issue a cease-and-desist order because SMO is bound by federal grant assurances that require the city to keep the airport open until at least July 2023. While this is a rarely exercised move, the FAA issued a cease-and-desist order in 2008 when the city attempted to ban class C and D jets from operating at SMO. The dispute ended up in court, and the FAA prevailed.